Yesterday Google-parent Alphabet Inc. reported its first quarterly earnings after the restructuring of former Google Inc. Revenues grew 16% year-on-year, while Alphabet’s earninges surge an amazing 45% compared to last year’s 3rd quarter. Yes. While literally not a single incremental search has been done on Google, hence neither more customers nor sales have been driven to websites, advertisers paid for 35% more clicks than last year. However as (not all) advertisers are stupid, they paid 16% less per click. 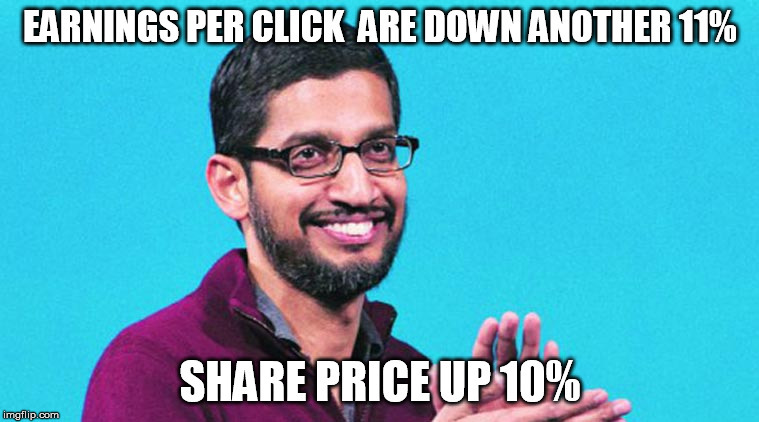 And this is pretty much what has been happening at Google for the last 4 years: More clicks at lower prices. By the way, Google’s former CFO Patrick Pichette has been very busy in the last years, explaining that what you see above is not a correlation of any kind. What looks like ad inflation to anyone with a high school degree, in fact is the effect of the mobile shift, YouTube, Foreign Exchange, something not to worry about depending on the earnings call you’re listening to. Are investors acting rational driving Google’s stock up another 10%? Yes. Kind of. 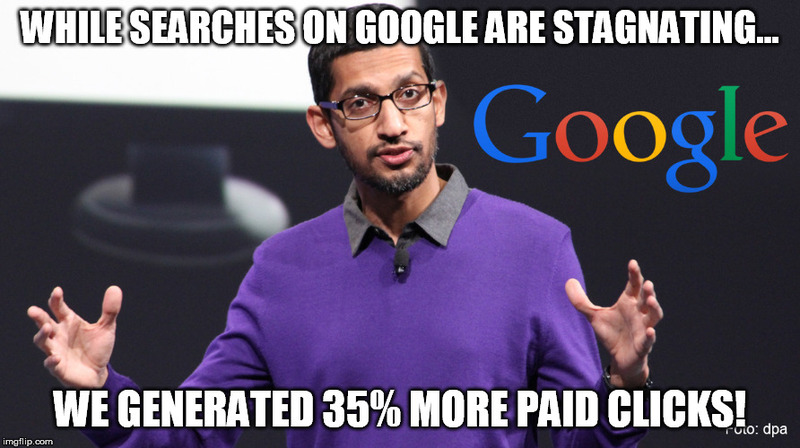 Earnings grew and Google announced a nerdy stock buyback programm yesterday. However, now that literally 100% of search result real estate is covered in ads at the expense of organic listings, how will Google manage to drive more cheap ad clicks in the next years? Was wird morgen wohl verkündet? 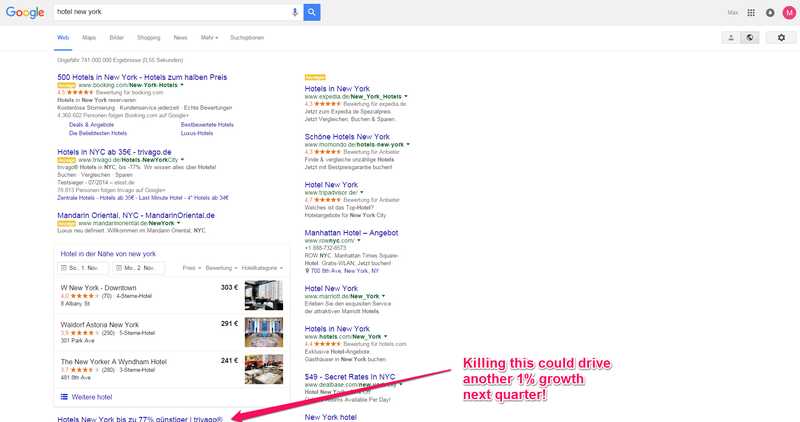 New Google AdWords Image Extensions – What will change?